When you are searching for air compressor dealers with products from the top manufacturers in the industry and offering the most professional services for Nashville and Knoxville, go with the experts at A&W Compressor. 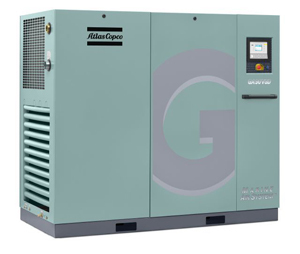 We are authorized dealers of Atlas Copco compressors, as well as many more trusted brands like Champion and Saylor-Beall. Whether you need a new compressor or an affordable and reliable used model, we have you covered. We also carry an extensive inventory of parts and accessories to keep your compressors running smoothly. We have been one of Tennessee’s most trusted air compressor dealers since 1982, and our expertise in compressor services is second to none. Our staff of fully insured and certified technicians has the in-depth knowledge to install, repair or maintenance compressors of any brand. Plus, we have the lowest labor rates of any full-service compressor house in the area. Whether you need to have the filters replaced on your compressor or you need a professional compressed air audit, we have the team that can handle all of your compressed air needs. Contact A&W Compressor today to find out why our quality products and expert services make us the top choice over any other air compressor dealers in Nashville, Knoxville, and other Tennessee cities.